Hey! You got your computer in my dinner plate! If you live in the US, you're probably cooking out today. 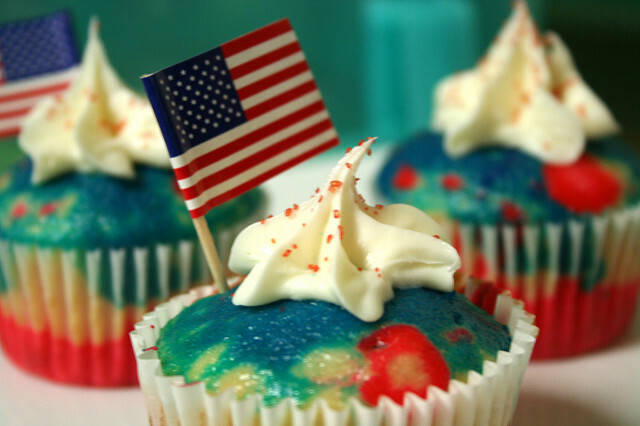 Science Node is no exception—but in between baking the sugar cream pie (we are based in Indiana, after all) and decking our monitors with patriotic bunting, we took a moment to bring you a few tidbits about how computing influences the way we eat. When preparing a Fourth of July feast, you probably rely on familiar staples like barbecue, corn-on-the-cob, and ice-cold watermelon. But did you also turn to the internet to find out how to update your favorite potato salad or get a tender crust on peach cobbler? You’re not alone. Internet searches for food items fluctuate according to seasons and holidays. Which is why the Rhythm of Food project uses Google search trend data to shine light on which foods are rising in popularity and which are falling. Blueberry, understandably, is popular between June and July, when the fruit is in season in most of the US, while searches for stew peak between November and January. July also prompts a need to know more about Ice Cream, Redcurrant, Daiquiri, and Beet. Computers have an answer for that too. Researchers in Japan and the US trained a neural network to transform recipes from one cuisine to another by suggesting substitutions for ingredients and methods. Using an online recipe database and natural language processing, the team trained their network to calculate analogies between countries and ingredients. 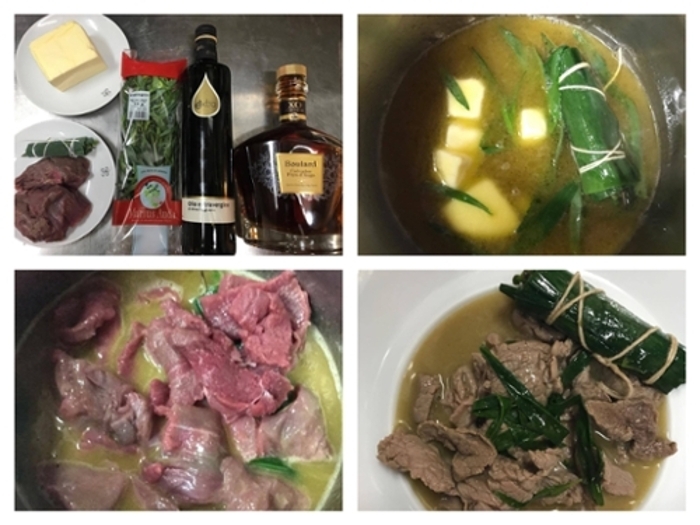 For example, a recipe for Japanese sukiyaki in a French style replaced soy sauce, green onions, and mirin with Calvados, fresh tarragon, and melted butter. The ultimate goal is to help people around the world improve their diet, by adapting healthy recipes into regional cuisine styles that are more likely to be accepted by local populations. Even a healthy diet includes some indulgence every now and again. And if you’re going to treat yourself to a cookie, shouldn’t it be the very best cookie you can make? That’s what some engineers at Google thought when they used machine learning and black-box optimization to improve cookie recipes. Everything from oven temperature and baking time to amount of butter and type of chip was up for modification. 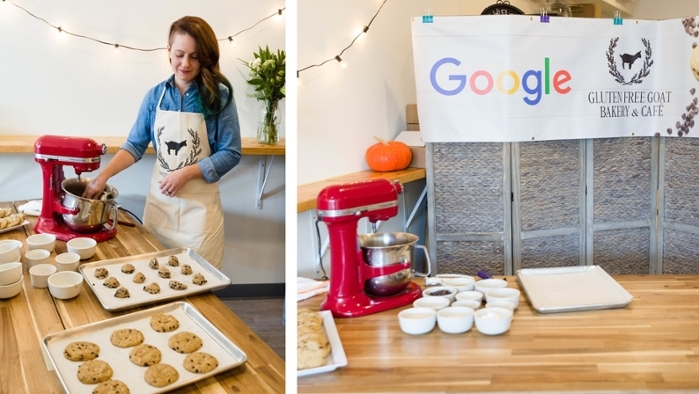 A team of caterers baked the results, and tens of thousands of Google employees provided feedback to the machine about what worked and what didn’t, providing a fluid dynamic between humans and machines to solve a problem. Cookies were a tasty way to test the system, but software engineer Daniel Golovin hopes that the same set-up will help optimize other processes such as web user interfaces or designing aircraft wings. Are you going to tweet your holiday feast? Maybe you’ll report to your followers about your #delicious #bbq #chicken or your patriotic #vegan #cupcakes #yum. A bagel by any other name. University of Arizona professor Stephen Kobourov analyzed millions of tweets and found that the language of food predicts factors ranging from obesity to political preference.. If you like to photograph your food and discuss your meals on Twitter, you may be revealing more about yourself than you realize. Computer scientist Stephen Kobourov of the University of Arizona analyzed food-related words in over 3.5 million tweets and used topic modeling to capture specific patterns in diet, language, and lifestyle. It’s perhaps no surprise that words like fried and chicken are associated with obesity and diabetes, but the researchers also discovered that they could predict a state’s voting history based only on analysis of food-related words in tweets. Red states prefer words like #lunch, #healthy, #party, and #snack, while blue-staters are more into #breakfast, #brunch, #deli, and #cheese.